One of the best parts about being an author is meeting other authors who have a passion for bringing hope to a hurting world. Heather Day Gilbert is one of those authors. Her newest release, Guilt by Association, is a mystery set in the middle of the hurting heart of America plagued by the opioid epidemic. Tess Spencer hadn’t planned on returning to her hometown, but when her ex-prisoner mom puts in a special request, Tess overcomes her hesitance to help her turn over a new leaf. Pearletta Vee’s drug-dealing past is resurrected when the body of an overdosed teen shows up—right next to her trailer. Tess decides to stick around and investigate, yet the evidence is stacked against Pearletta. Tess suspects a setup—but why? Never one to back down from a challenge, Tess takes on a wayward teen, an abusive grandma, and more than one drug dealer in her quest for the truth. But it’s going to take a miracle to keep her from becoming a casualty in her own personal war on drugs. Plunging into the shadowy reality of the drug epidemic in West Virginia, Guilt by Association is the third book in the award-winning Murder in the Mountains mystery series. 1) Guilt by Association is the third book in the award-winning Murder in the Mountains mystery series. What can fans of the first two expect from this one? Readers will see more of Tess’ back story as a child in this one, since it’s set in Boone County, where she grew up. They’ll also see how her relationship with her loving lawyer husband, Thomas, continues to grow. In Guilt by Association, we don’t have as many scenes with Tess’ supportive mother-in-law, Nikki Jo, because this book focuses on Tess’ conflicted relationship with her mother, Pearletta Vee, who has recently been released from prison on drug-dealing charges. Also, Tess’ close friend, Charlotte, is overseas during this book, but readers will get to know her spitfire friend, Rosemary, much better. This series draws some parallels from Nancy Drew books, with Tess being like Nancy, Charlotte being like George, and Rosemary being like Bess. 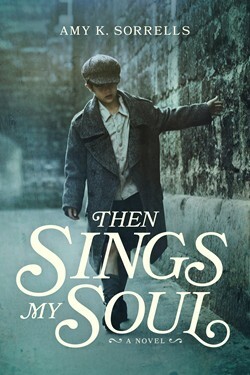 2) Your blog describes you as someone who, “…writes novels that capture life in all its messy, bittersweet, hope-filled glory.” How do you see Guilt by Association fulfilling that? More than any books in the Murder in the Mountains series thus far, I think Guilt by Associationreally showcases the darkness and the light we wrestle with in life. We see the messy fallout from drug addiction in the rural area where Tess grew up, but at the same time, we see the hope God can bring to these seemingly impossible family situations. In my home state of West Virginia, it’s a near-daily occurrence to read how opioids are ripping families apart, but I’ve watched people step in to these seemingly impossible situations and make a lasting difference. God is greater. 3) Will Tess Spencer be back for a fourth? Definitely! My readers have lots of questions about one recurring character in this series—Axel Becker, the florist, who always happens to show up at just the right time to help Tess. Axel’s story has been a mystery within each of these mysteries, and at the end of the series, we’ll find out how his story ties in with Tess’. 4) Which famous actress would you like to see playing the lead character from your most recent book? I actually did think about this when things seemed to be moving toward a movie version (not in the works now, sadly). Tess Spencer has short, straight dark hair, blue eyes, a heart-shaped face, and fair skin. She’s about 5’7 and in her twenties. She knows how to handle a gun, which has made me look at women shooters of Instagram, like @theamyrobbins. Sherilyn Fenn back in her Twin Peaks days would’ve been a great fit, but she’s over thirty now for sure! 😉 I also just found an actress named Grace Phipps who looks similar to Tess’ coloring/face shape. 5) What inspired you to donate the first month’s profits of Guilt by Association to Sparrow’s Nest? A couple of women from my church have worked at Sparrow’s Nest, which is a Christian women’s shelter not far from me, and I feel like I know a bit of how this shelter is going about rehabilitating the women who check in there. The male counterpart of Sparrow’s Nest, Brian’s Safehouse, has been around longer, and has made a difference in many lives, as well. Drug rehab facilities are generally booked solid in my area and I feel they need all the support we can offer! 6) How have you seen the opioid epidemic impacting your part of West Virginia? How are some ways readers can help? Drugs are everywhere in my rural area. There are repeated news stories of children who are basically abandoned in their own homes because both parents are using drugs and have neglected them horribly. Health care workers who work with neonatal units could share countless sad stories of babies born addicted in this state. And the foster care system here is overwhelmed. Our family has personally become involved in the foster care arena, and that is where we see so many Christians stepping up to the plate and making a difference for these children who have basically been orphaned because of drugs. 7) What’s your favorite book from childhood? Was it a mystery? That is a tough question! I did read Trixie Belden and Nancy Drew when I was young, then I moved on to Phyllis Whitney, Daphne du Maurier, and Agatha Christie in my teen years. I also enjoyed Madeline L’engle and was obsessed with A Ring of Endless Light for a while, which made me want to become a marine biologist and work with dolphins. 🙂 I also loved Little Men by Louisa May Alcott and I enjoyed the Anne of Green Gables series. So I don’t think I can pinpoint one book! I love working in my perennial flowerbeds or walking in the woods, though I never have time for much of either, it seems. I love going on dates with my husband and sometimes we go to the outdoor shooting range, which is a blast (no pun intended!). I also play video games to blow off steam and just clear my head. 9) What would you say is your most interesting writing quirk? I’m not sure, but it would probably have something to do with the utter messiness of my notes. Sometimes I jot things down in all directions, so it’s hard to go back and put it all together! I am a loose plotter, so I know highlights of the story, but it basically fills in for me as I write. Another thing my mystery readers might be interested to know is that I might go into a mystery thinking I know who the murderer is, but I often surprise myself mid-way through and realize it’s another murderer. You know what they say: “No surprise in the writer, no surprise in the reader,” or some quote like that! 10) What writing project(s) are you working on next? I’m working on a three-book cozy mystery series for Kensington Books this year. I think it’ll begin releasing in 2019. I’m not sure what other projects I’ll be tackling, but I like to always have things in the queue! Thank you, Heather, for taking the time to visit with us, and for shedding light onto the opioid crisis, and your work as a writer. Click on the links in this post to pick up a copy of Guilt by Association and her other novels today. 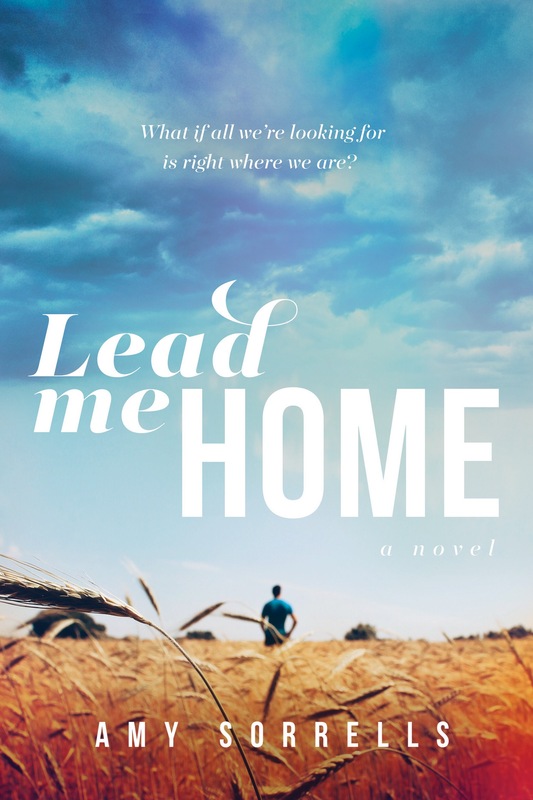 HEATHER DAY GILBERT, a Grace Award winner and bestselling author, writes novels that capture life in all its messy, bittersweet, hope-filled glory. Born and raised in the West Virginia mountains, generational story-telling runs in her blood. Heather writes Viking historicals and contemporary mystery/suspense. Publisher’s Weekly gave Heather’s Viking historical Forest Child a starred review, saying it is “an engaging story depicting timeless human struggles with faith, love, loyalty, and leadership.” Find out more on heatherdaygilbert.com. Thanks, once again, for your opinions. Thanks so much for letting me visit your lovely blog, Amy! I’m so glad to know you.